Square Enix recently announced that physical and vinyl limited editions of Life is Strange: Before the Storm will launch for Xbox One, PS4, and Steam on March 6th in North America and March 9th in Europe. The release date for the physical and vinyl editions of Life is Strange: Before the Storm conveniently coincides with the release of the bonus “Farewell” episode, which is set to launch globally on March 6th. Not only are the physical and vinyl collections perfect for Life is Strange collectors, but also gamers who’ve yet to play Before the Storm. 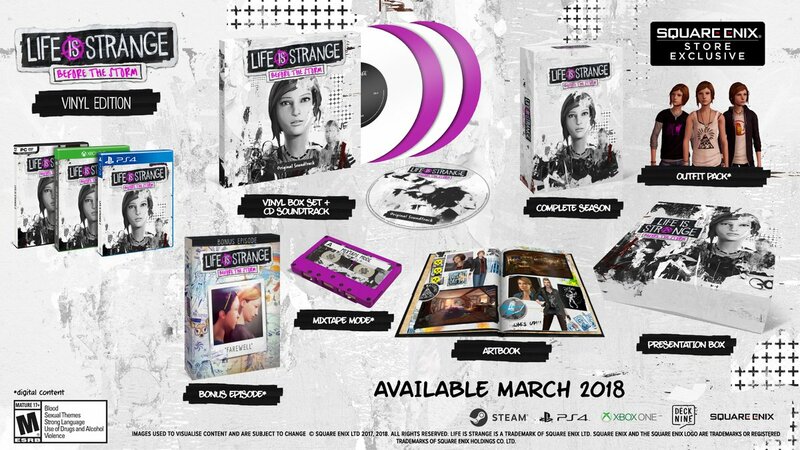 This is because the limited edition physical set of Life is Strange: Before the Storm includes the complete season along with the bonus “Farewell” episode, a soundtrack CD, an outfit pack, a physical artbook, a digital mixtape mode, and the first episode of the original Life is Strange. The physical edition is priced at $39.99 while the vinyl set (which includes a vinyl record of the game’s OST) will run you $69.99. 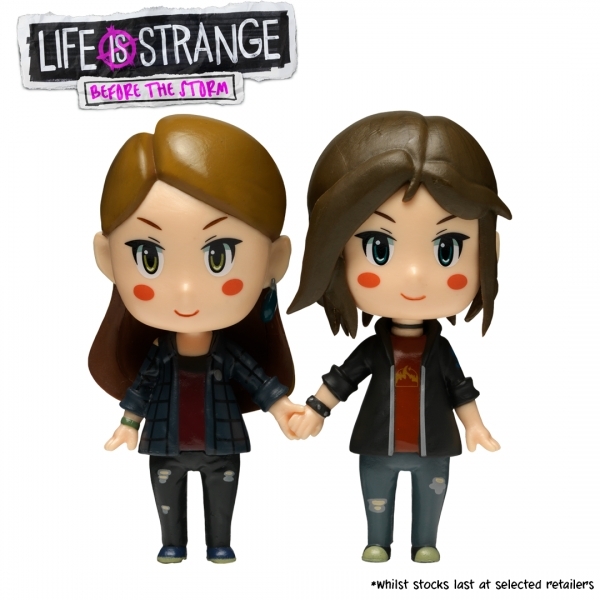 For those who choose to pre-order one of the limited edition releases, you’ll also have an opportunity to pick up a special figurine of Chloe or Rachel while supplies last. What do you think of the new limited edition sets for Life is Strange: Before the Storm. Are you planning on pre-ordering a copy? Let us know down in the comments below!